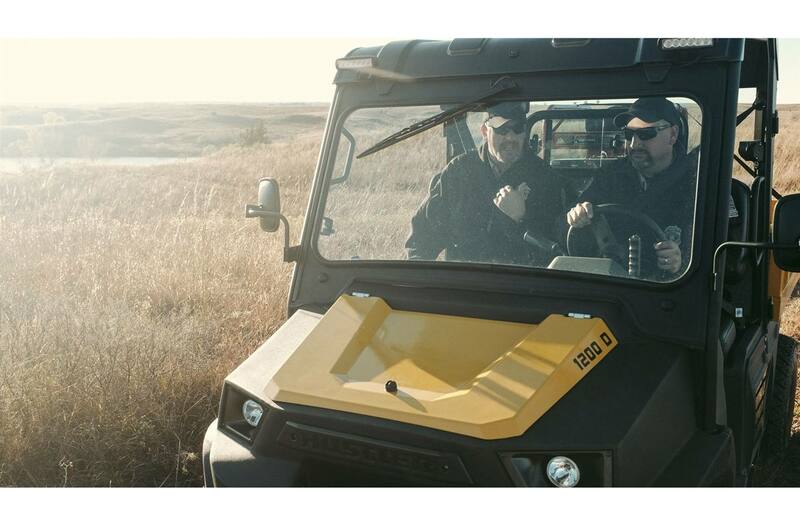 LeveLift™ Bed Technology: Flip the switch and LeveLift™ brings the cargo box up, back and down, enabling you to load at ground level or at any point along the mechanism's arc of motion. Fast Top Speed: Top speed of 36 mph. 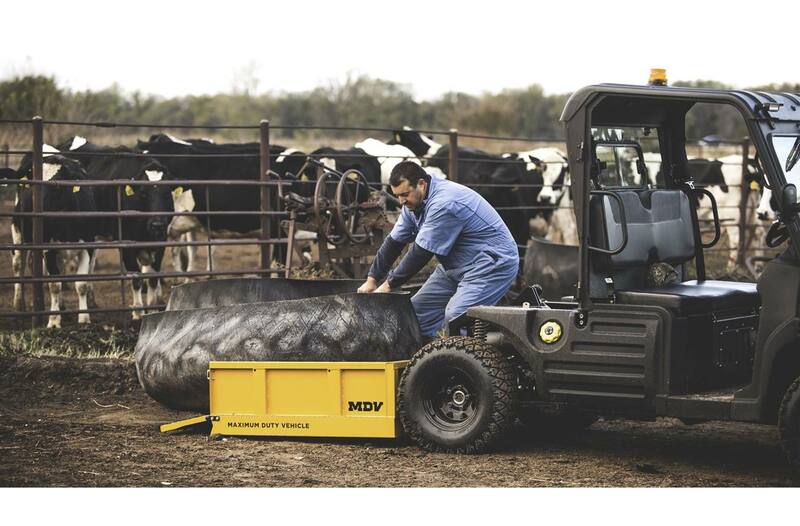 Spacious Cab: The MDV's spacious cab is easy to get in and out of with heavy clothes, coats, etc. 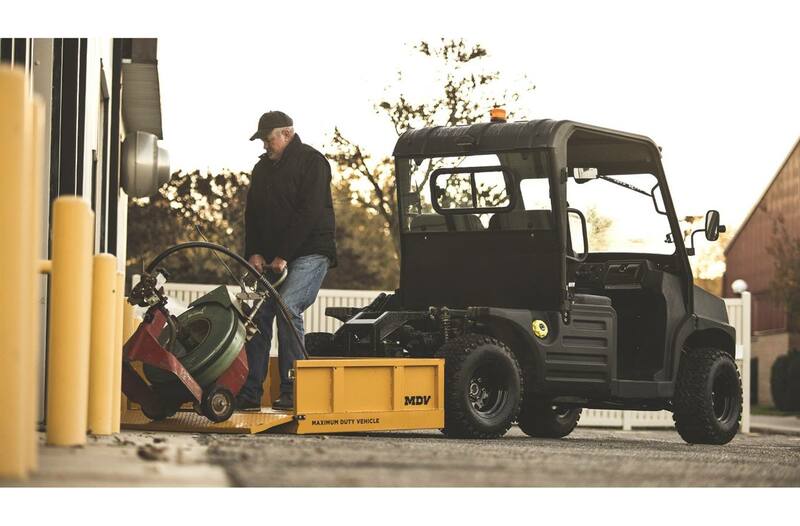 Easy Serviceability: Easy-to-reach serviceability points equals better accessibility to maintenance areas. 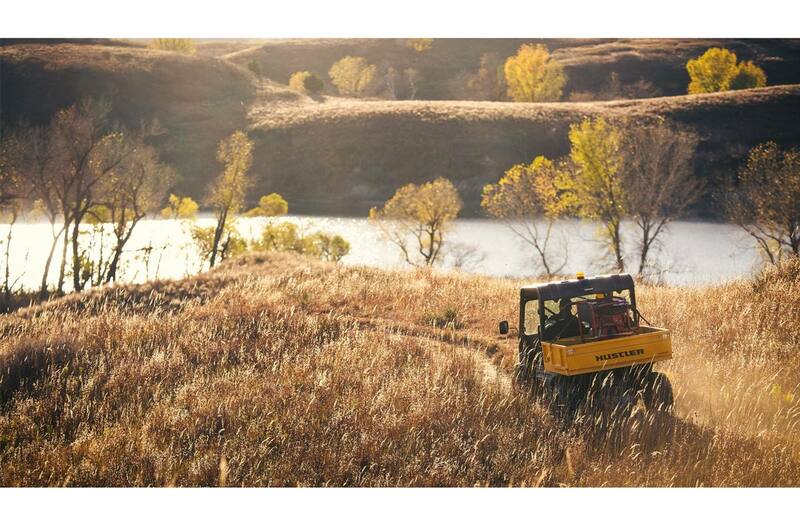 Fuel Capacity: 14-gallon fuel tank (nearly twice the capacity of the leading UTV). 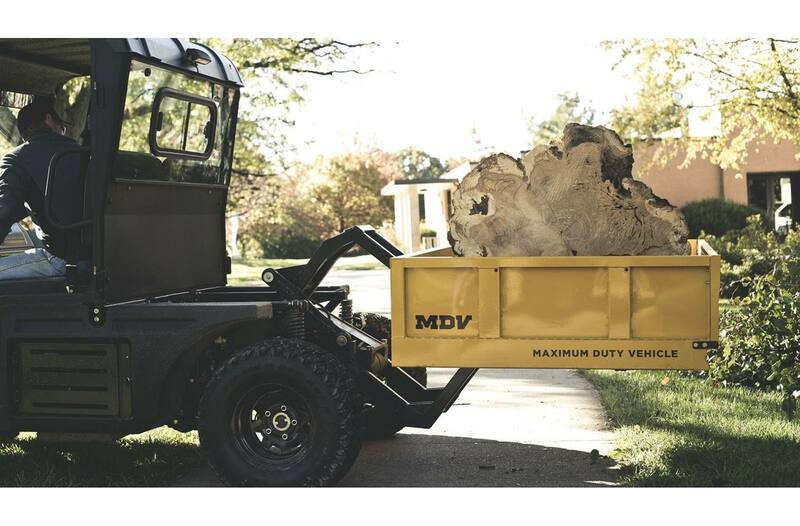 Floating Rear Axle: The MDV's floating rear axle maintains a constant ground clearance even at maximum load. 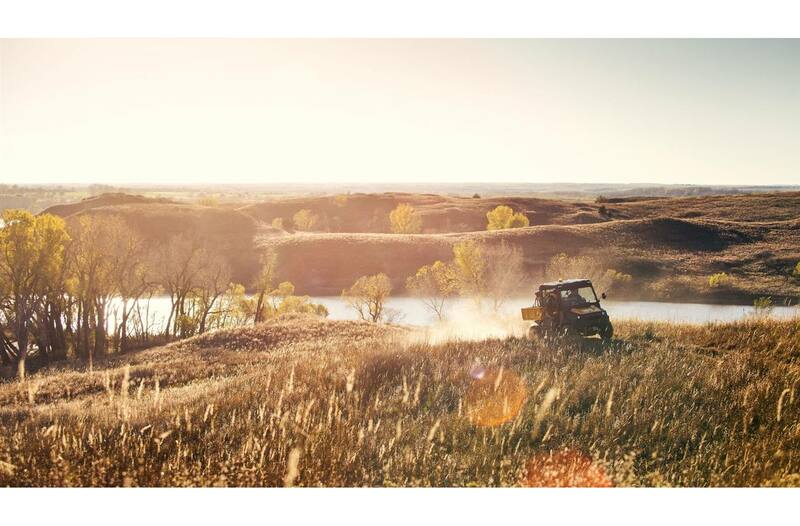 Warranty: Offering a one-year limited warranty. 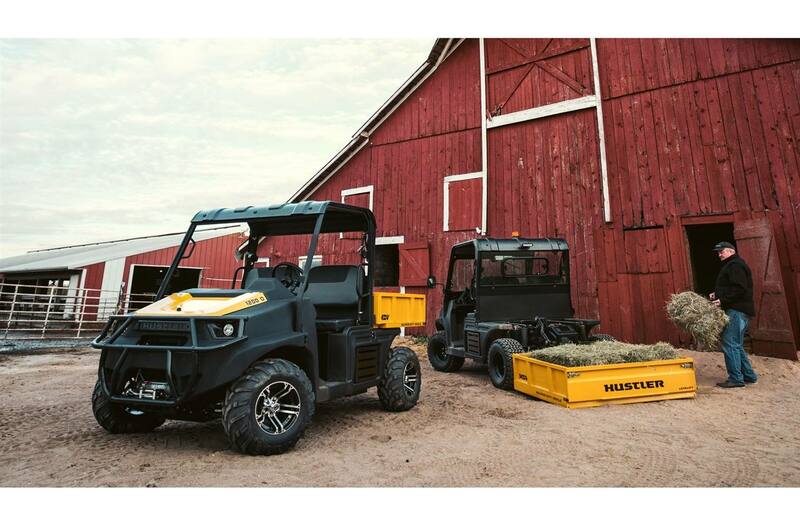 Hustler® utility vehicles are built to the highest of standards, but our warranty will provide extra peace of mind. See your local Hustler dealer for complete details. 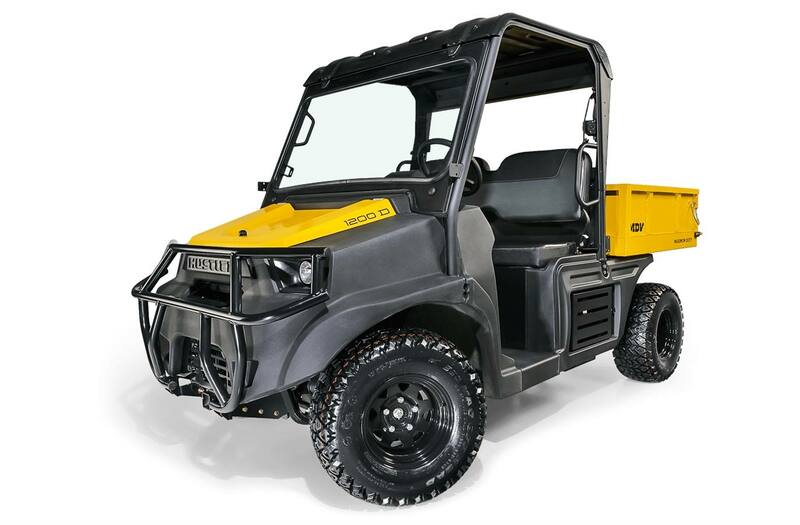 Tire Size Front: 350 Mag 25" x 10" - 12"
Tire Size Rear: 350 Mag 25" x 10" - 12"
Cargo Bed Dimensions: 45.9" x 58.2" x 11.5"
Poly Windshield: Helps provide protection from wind and weather for improved ride comfort. Scratch resistant coating. Not for use with windshield washer/wiper. 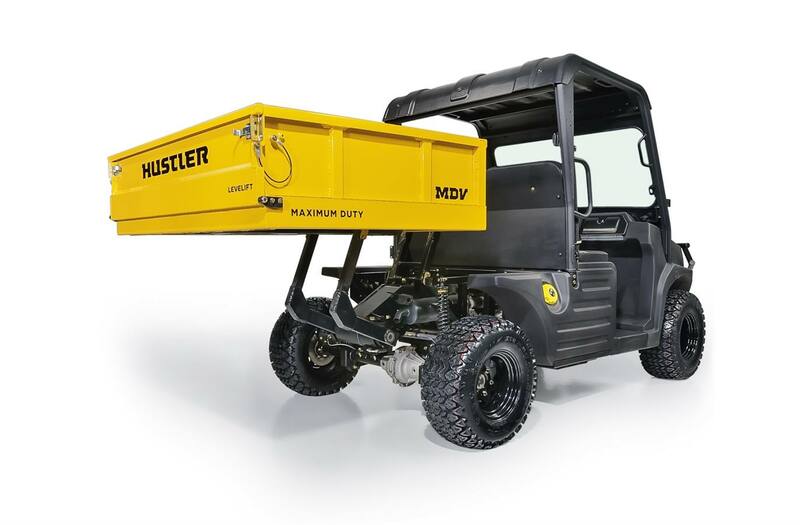 Roof: The heavy-duty ABS roof installs over the vehicle's integrated OPS. 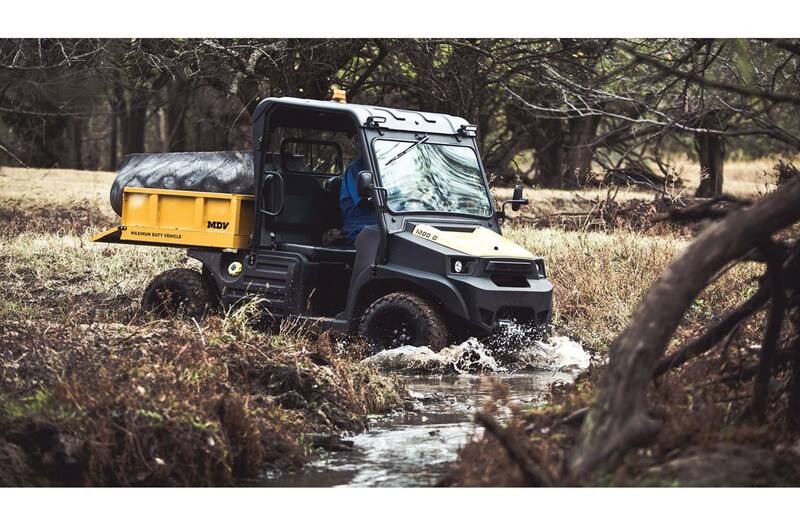 The form-fitted roof helps protect the operator and passenger from sun and weather extremes. Tip-Out Front Windshield: Blocks wind, dust and other weather elements. 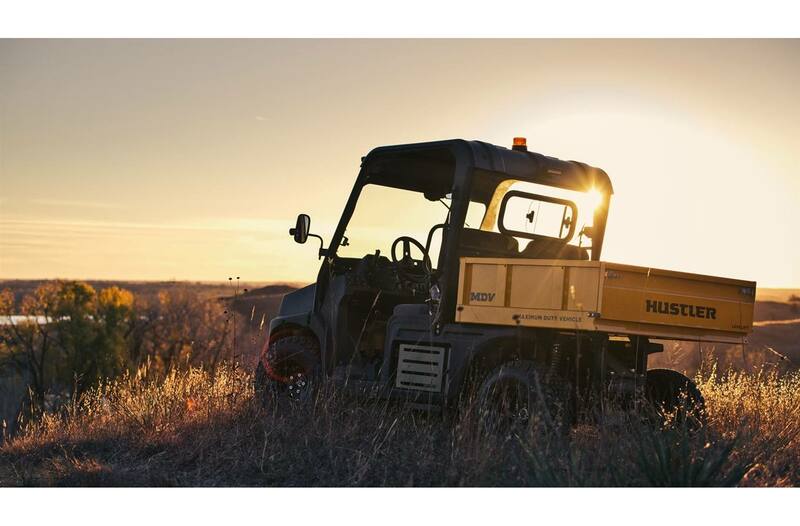 The tip-out feature increases cab air flow for greater comfort. Doors: Full-length glass door protects the operator and passenger from dirt, dust and inclement weather. Lockable and easily installed or removed by one person. Sliding Rear Window: Gives operator easy access to the vehicle's bed while keeping wind, dust or the elements from blowing in through rear of cab. 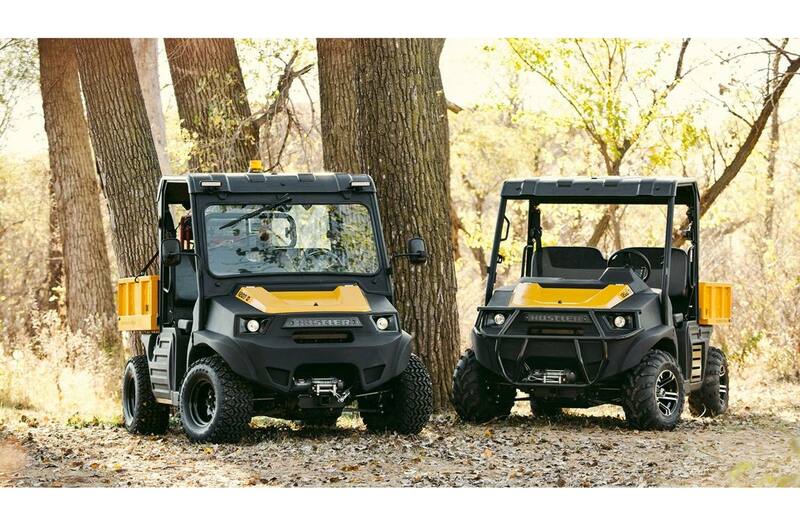 Side Mirrors: Left and right OPS-mounted mirrors provide maximum visibility and greater confidence backing or towing. 350 Mag 25 in. x 10 in. - 12 in.